I. SCIENCE FROM ORBIT-AN INTRODUCTION TO SKYLAB. 1. An Outpost in Space. 2. Operation Above the Earth's Atmosphere. 4. Broad View of the Earth's Surface. II. HISTORY OF THE SKYLAB PROGRAM. III. PROFILE OF THE SKYLAB MISSION. IV. 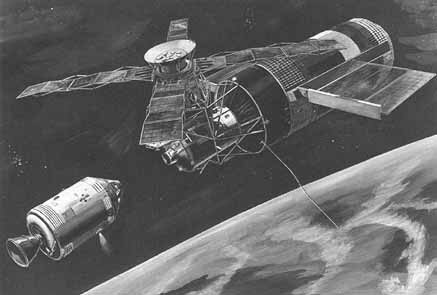 SKYLAB DESIGN AND OPERATION. d. Multiple Docking Adapter (MDA). e. Apollo Telescope Mount (ATM). f. Command and Service Module (CSM). g. Integration, Testing, and Quality Assurance. a. Attitude and Pointing Control System. c. Data and Communications Systems. V. RESEARCH PROGRAMS ON SKYLAB. b. Studies in Stellar Astronomy. 2. Earth Resources Experiment Program. a. Astronaut Tools and Equipment. b. Materials Science and Manufacturing in Space. 2. National Oceanic and Atmospheric Administration Support to ATM. 3. Earth Resources Ground Truth Activities. VIII. LISTING OF SKYLAB EXPERIMENTS. IX. RECORD OF MANNED SPACE FLIGHTS (UNOFFICIAL).